First things first: you and your admissions staff will need the correct user roles to use Populi Admissions. There are five user roles that, to varying degrees, can access Admissions or Admissions-related features: Admissions Admin, Admissions, Academic Admin, Registrar, and Staff. 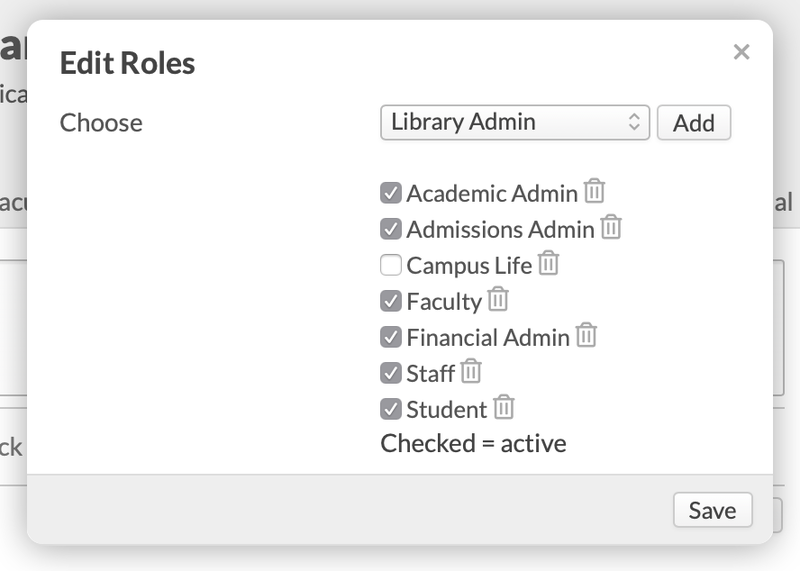 Read about granting user roles, and see the list below for user roles that have some sort of access to Admissions. In order to perform the tasks described in this Getting Started guide, you'll need the Admissions Admin role. Admissions Admins have access to all admissions information at your school. They have unique access to Admissions > Settings; this includes application design, lead routing, inquiry form settings, and custom admissions fields. They have full read/write access to everything under College Management except the Academics tab. They can give others the Admissions, Student, and Staff roles. Admissions users have access to all admissions information at your school, except for Admissions > Settings. The Academic Admin and Registrar roles have the same access to admissions information as the Admissions role. The Staff role has full access to the Admin tab, which gives such users access to Communication Plans and Scheduled Events.